In 1992 a friend of mine brought over a VHS copy of the band Ministry’s “In Case You Didn’t Feel Like Showing Up” For those of you familiar with the band and this footage you will recall the opening is two drummers side by side pounding out the opening beats to “Breathe.” To the right sat William Rieflin and to left Martin Atkins. In the world of dueling drummers they were each others yin and or yang. Rieflin has an almost sedated approach to blasting through a set of heavy industrial mayhem, while Atkins is as bombastic visually as the music he is creating sounds. I remember distinctly being in awe of his appearance, this white and black broad striped long sleeve shirt and wild bleached blonde fried hair, a look that I would try to pull of with no avail around the age of 15. 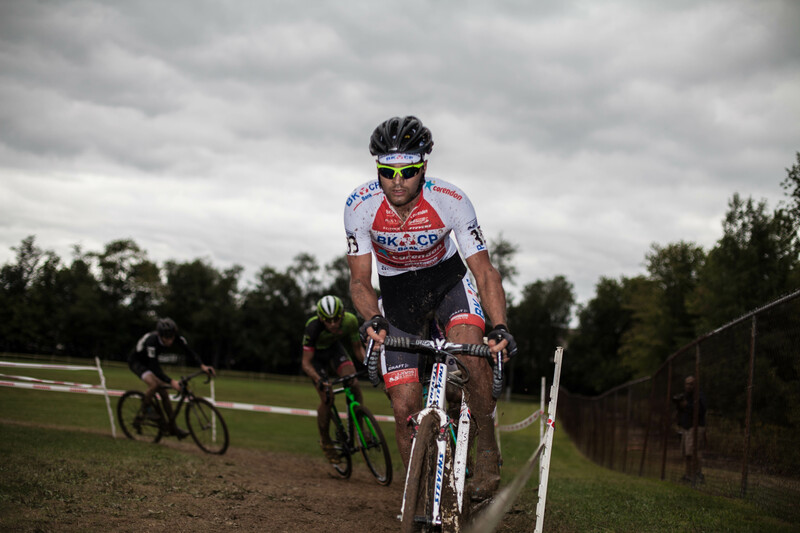 Day 2 of Nittany CX remained muddy and and slick thanks to torrential down pours and cool temperatures, both the Belgian Wieste Bosmans and Amanda Miller repeated their winning performance from day one. Dan Timmerman was missing from the action on Day 2 but he proved on Saturday that he is going to be a forced to be reckoned with all season and Cameron Dodge still has everyone wondering why he doesn’t have a major sponsoring team backing him. Wietse Bosmans (BKCP-Corendon) fought through jet lag to sweep the weekend. Dan Timmerman (Stans No Tubes CX) led day 1 for a significant portion of the race and ended up with another second place finish. 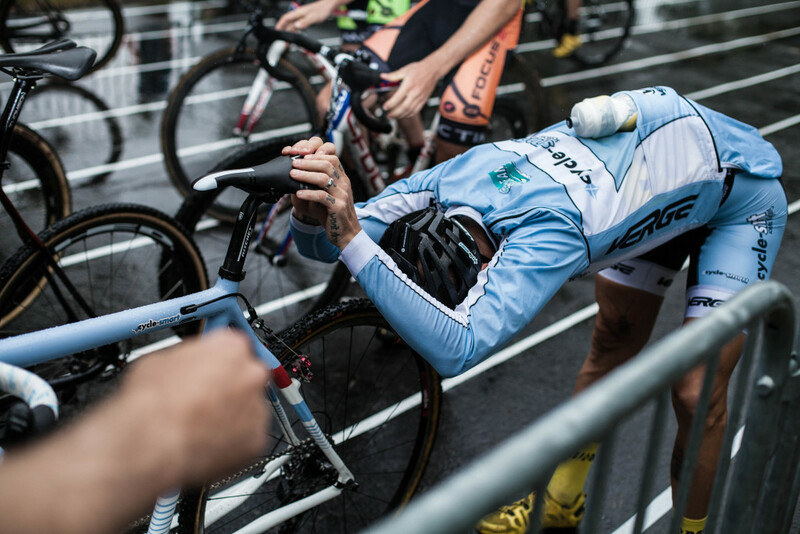 Adam Myerson stretches a tight back pre-race. 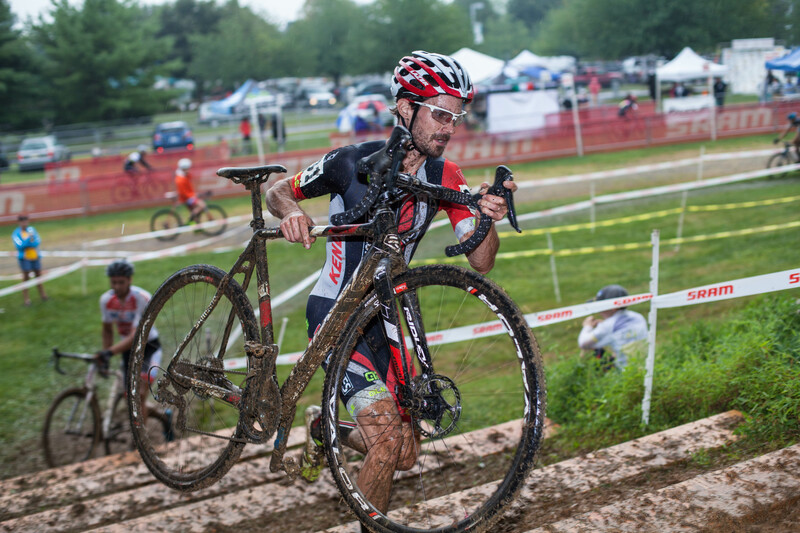 This weekend also saw Adam Myerson line up for his first cyclocross efforts of his last season of Elite level racing. Let’s go back to 2008 when Nittany was held on the Penn State branch campus in Fogelsville, PA and a post race encounter with Mr. Myerson. I remember him talking about how he was disappointed in missing a big opportunity for a better result but most of all I remember his crisp khakis and fresh Vans hi-tops that just happen to match his baby blue Cycle-Smart kit. I remember standing there thinking “who is this guy? bike racers don’t look like this!” Fast forward a year later during the Elite race at Charm City CX Myerson had found himself off the front approaching the infamous planter box section of the course, his dismount and hurdle of the stacked lumber was one effortless motion, as if his feet never really touched the ground. You see as someone who grew up skateboarding I was so impressed with style and ease that Adam displayed while doing something that is fairly difficult, for me it was like watching someone land a perfect kick-flip and it left a lasting impression on me. I would go home from that weekend and work on making my dismounts that good and smooth. So while I did not get to watch Martin Atkins play drums this weekend I did get to see Adam do his thing on the bike. 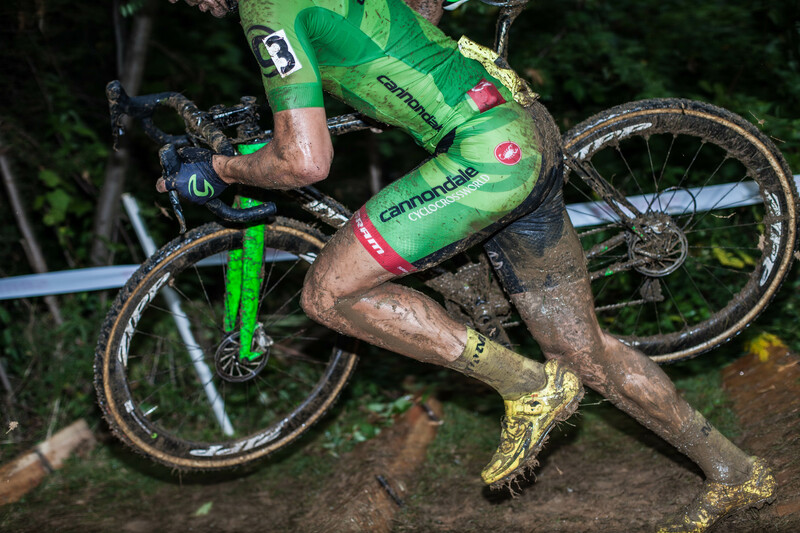 Curtis White (Cannodale-Cyclocrossworld.com battles the muddy conditions before finishing day 2 in second.